The restaurant changed hands in 2007, but the best part is that almost no one even noticed. 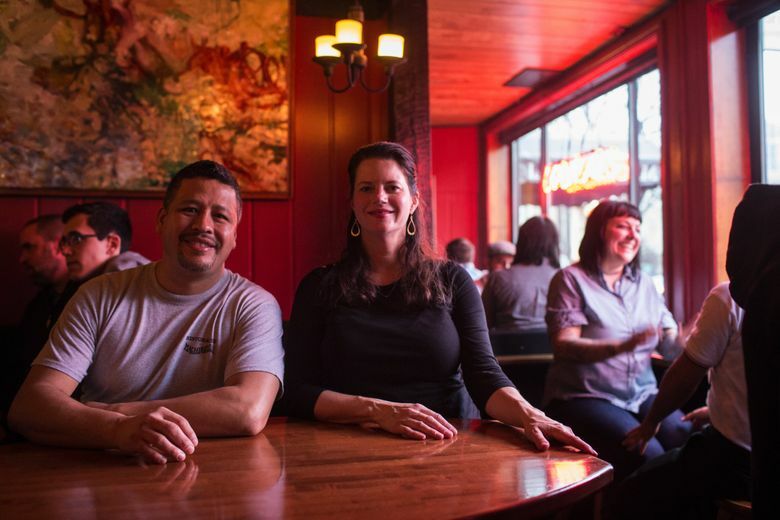 IN A CITY where it’s increasingly difficult to keep up with the list of restaurant openings and closings, what keeps a Seattle institution such as Capitol Hill’s Ristorante Machiavelli popular for so long? Linda McElroy, who opened Machiavelli in 1988 with her husband, Tom, says the key to the restaurant’s success has been consistency. Their customers like it just the way it is and, after 27 years, the restaurant is busier than ever. Current co-owner Suzette Jarding is grateful for their regular customers who spread the word, creating new regulars who spread the word, and so on. They don’t take reservations, there’s almost always a wait for a table, and the small bar is buzzing. Yet, somehow, when you visit Machiavelli for the first time, you feel like you’ve been let in on a secret, and that’s also part of the appeal. The Pike/Pine corridor has undergone incredible change and development since Machiavelli opened. In 1988, its location on the edge of Capitol Hill, just across Interstate 5 from downtown, was seedy and cheap. The previous business was a dingy, windowless bar. The McElroys gutted the dining room, installed windows along the outer walls and pulled out a walk-in refrigerator that took up half the kitchen. They developed a menu of simple, well-seasoned Italian food, kept the place casual, and treated their staff like family, and ever since, every night (except Sunday) finds a happy, noisy crowd enjoying their favorite dishes and carafes of wine at small tables covered with red vinyl tablecloths. The menu never changes, and if it did there’d probably be a revolution. The food is well-prepared, reasonably priced and consistent. The newest cook in the kitchen joined the team 10 years ago. If you love a dish, you will love it every time you order it, because they aren’t reinventing it every time you come. Food trends come and go, but Machiavelli sticks to what it does best. Citywide press often recommends Machiavelli for a first date, and countless couples have followed that advice. There’s just the right amount of ambient noise and light; the price is right; it isn’t fancy; and service is quick and efficient, just in case things don’t go well. Many of those couples come back to propose marriage, and over the years their kids join their tables. Jarding started working as a hostess and waiting tables in early 1999, and Arevalo started cooking there about a month later. Over the years they both took on management roles and always worked well together. When the McElroys started thinking about retiring, they were hoping to pass the reins to someone who wouldn’t change a thing, so they approached the co-workers with a plan. They own and run the restaurant now, but Jarding is still happily waiting tables and Arevalo is where he’s always been, smiling (and sometimes singing! ), at the stove on the other side of the kitchen window. Jarding says that Machiavelli has always felt more like a social gathering and less like a job because the staff is so close knit, and they’ve built real relationships with customers over the years. They both appreciate what a valuable commodity they have in Machiavelli’s track record. So no one needs to tell them that if it ain’t broke, don’t fix it.